I was looking through some old emails today, and I ran across this funny email I had sent to O-Cedar. 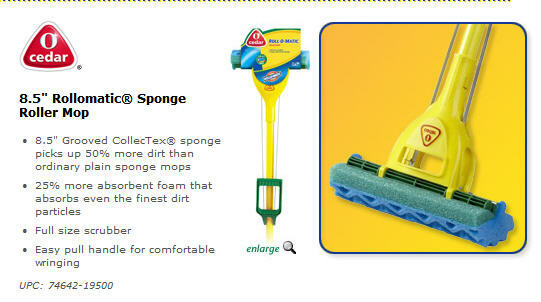 O-Cedar is a company that makes terrible mops, sold at Walmart. Anyway, PoppaNut had bought this mop (not knowing how bad it was) and couldn’t wait to clean, but that dang mop was the worst piece of junk we had ever bought. I was so mad about the mop, I wrote an email to their customer-service department. I found the letter … I hope you find it funny too. The mop we bought was similar to this. And that’s life in a nutshell … knowing when to laugh when a mopper head really makes you want to cry.